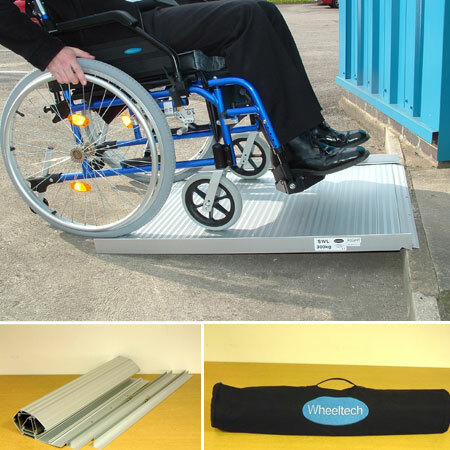 These excellent Roll Up Ramps provide a quick and easy solution to obtain access to buildings and vehicles. They have been designed for scooters and wheelchairs and can be used as a portable or fixed ramp. They roll up to a compact size and come complete with bag for easy storage and transportation. 300kg (47stone) weight capacity.